While there are various local and international pizza parlors available in the market, Lots’A Pizza remains one of the best Filipino style pizza that provides the best value for money. 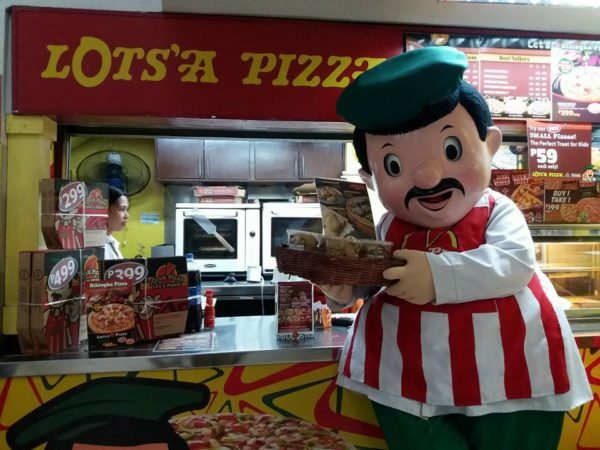 Since its launch in 1986, Lots’A Pizza has stood out with its unique parbaked crust, premium toppings and signature sauce attracting Filipino pizza lovers. After setting up its very own franchising system in 2000, Lots’A Pizza and its franchisees have earned their slice of success. Currently it has 215 outlets all over Luzon. Here’s a quick guide to Lots’a Pizza franchising. Designed for aspiring entrepreneurs with limited resources, starter cart offers the lowest investment package. Products included are sliced pizza. This cart, which also requires lower investment, can be deployed in front of commercial buildings and requires a minimum area of 4sqm. A cart system that generates sales output equivalent of a full sture, full service cart offers the complete product lines of Lots’A Pizza. Ideal for supermarkets and mall-based locations, this franchise model is designed to generate highest sales at the lowest set-up costs. This franchise model is a community-based franchise outlet catering to its immediate market through delivery and pass-thru window system. Considered as the best-selling franchise model and the highest sales generator of all the franchise models, it is packed with features needed by the franchisee to optimize their business performance. Contact LAP Head Office to get details about franchising and templates for the Application Form as well as Letter of Intent. Fill up the LOI intent and email to LAP Head Office. Give the exact address of the potential site along with its photos. Accomplish the Franchise Application Form and send back to the Head Office along with other documents as requested. Click for link of Contact Form.